Why is my Campylobacter not growing? How can I maintain my Haemophilus? How do I perform the growth promotion test? What microorganism strains are recommended for my molecular kit? How can I get to know the cute technician in R&D? Stanley will follow up with you and share his signature, sage advice for your conundrum. Your inquiry may even be shared in a future blog! 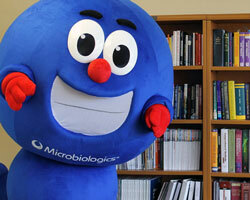 *	Would you like to receive news and updates from Microbiologics? *	Can we share your inquiry in a future blog? Yes, but please don't include my name. No, I do not want my inquiry shared.